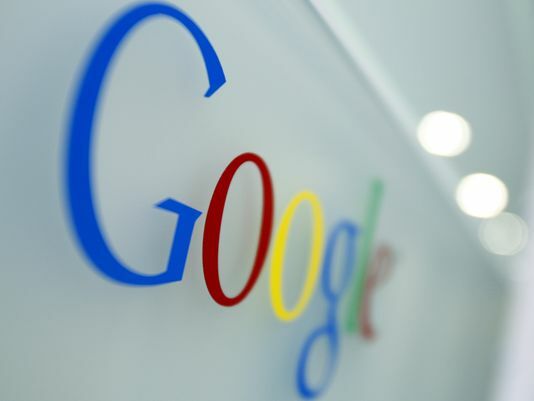 Google is so ubiquitous it’s easy to overlook some of the search giant’s coolest tools. It has many tricks and products that you don’t need to spend money on. Some of these will make your life easier and others will just blow your mind. Let’s take a look at 10 of them. Need to find the best price on a flight? Google Flight Search is one of the easiest price-comparison sites around. Pick your start point and destination – or destinations – on the map, and then pick your dates. When you pick the dates, be sure to pay attention to the prices on each date and Google’s graph of days with the cheapest tickets. Then, you can filter the results by flight length, airline, price, stops and more. When you find a flight you like, you can book it directly on the airline’s site. Need to take a quick break? Thanks to Google, you can play a version of the classicAtari Breakout game on your computer whenever you want. Simply go to the Google Image Search page – www.google.com/images – and search for “Atari Breakout.” Then, wait for the fun to begin. Google’s normal search site is great for most searches, but Google has more specialized search sites as well. For example, the Google Public Data Explorer is a treasure chest full of information on public statistics. Go to the Google Public Data page and type in a topic. Keep your searches simple, like “Unemployment in the U.S.” Google will return results from sources like the U.S. Bureau of Labor Statistics. You’ll end up with an easy-to-read graph, and you can even tweak it with options like gender, age and state. Google will let you know in less than a second that “pomme” is French for apple. It also includes a small speaker icon that will let you hear the word if you aren’t sure how to pronounce it. For longer translations, check out Google Translate. What’s healthier, an orange or a banana? Type “compare” into Google’s search bar, along with the foods you want to look at, such as “compare broccoli and asparagus.” Google will do the rest. When you don’t know what a word means, don’t reach for the dictionary. Type “define (word)” into the Google search bar, such as “define tintinnabulation” and you’ll have the definition instantly – it’s “a ringing or tinkling sound,” if you were wondering. You’ll also get pronunciation, part of speech, and you can click the gray arrow for more information, including word origins. Whether you’re cooking or helping your child with math homework, odds are you’re going to have to convert units of measurement. On the Google search page, enter a search like “convert eight ounces to cups” or “convert 10km to mi.” You’ll have your answer instantly, and you can even tweak the numbers and units after the fact. Google nGrams is a great research tool that lets you search how many times specific words occur in more than 5 million books written between 1800 and the present. You can see how words get more or less popular over time. If you think Google Earth is great, then Google Sky is going to blow your mind. It lets you search the heavens and see images of stars, planets and galaxies taken from telescopes, probes and satellites. It includes infrared and microwave images as well as a historic map of the stars made by Giovanni Maria Cassini in 1792. If you don’t know where to start, the site has some suggestions that you’ll love. Google’s algorithms are really good at searching the Internet to find the information you’re looking for. Sometimes, though, I’m sure you get frustrated because you keep getting popular results that just aren’t right. Tweak your search using the minus (-) symbol. Just put it before any words you don’t want to show up. Say you want to search for “puppies,” but don’t want to see sites that sell them. Just type in “puppies -sales” and you’re set. On the Kim Komando Show, the nation’s largest weekend radio talk show, Kim takes calls and dispenses advice on today’s digital lifestyle, from smartphones and tablets to online privacy and data hacks. For her daily tips, newsletters and more, visitwww.komando.com. E-mail her at techcomments@usatoday.com.